March 9, 2015 – BEAVER FALLS — Upwards of 100 people marched from New Brighton to Beaver Falls on Sunday afternoon to commemorate the 50th anniversary of "Bloody Sunday," which took place March 7, 1965, in Selma, Ala., as civil rights activists marched to the state capital of Montgomery for voting rights. "Things like this sparks into the people to get out there and vote, and that we have a chance to get out there and make a difference," said Abe Askew, of Aliquippa. Askew believed that Sunday’s march and similar acts of empowerment can have positive impacts on people and communities alike, saying he will spread the word regarding the importance of voting. "(I’ll tell) all the people that I know from Aliquippa and it’ll go from here to there," Askew said. "It goes into a stream and a stream into a river." The march began at New Brighton’s Townsend Park, across from the borough building at Third Avenue and Sixth Street, and crossed the bridge over the Beaver River to Beaver Falls, before concluding at Beaver Falls Memorial Park at Sixth Avenue and 11th Street, where several guest speakers addressed the crowd, including event organizer Olivia Ryan. 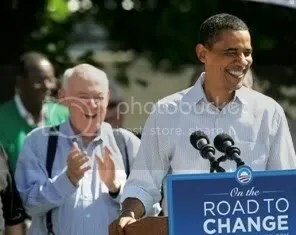 “I thought, ‘What a great way to begin the new year,’ ” the mayor said, and he showed his girlfriend the photo. It had been taken by activists from What’s Up?! 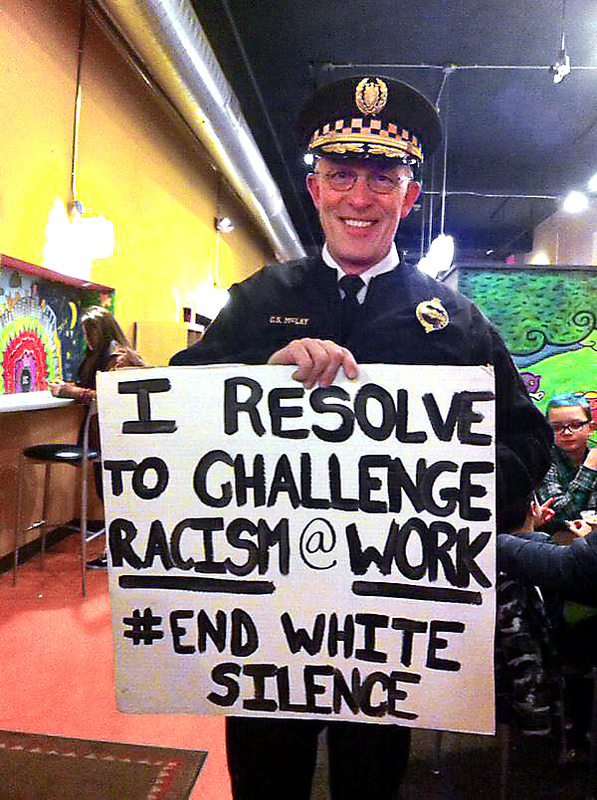 Pittsburgh, who approached the chief in a coffee shop during the city’s First Night festivities and asked him pose with their sign. So pleased was Mayor Peduto with his new police chief’s action that he quickly posted the photograph on his own Facebook account, adding his support to restoring trust between the police bureau and the communities it serves, a stated goal of Chief McLay. “I thought there was very little chance for someone to say this was the wrong message to send,” Mr. Peduto recounted Saturday. The photo, which continues to be shared on social media, has drawn cheers from numerous groups and individuals, but Fraternal Order of Police President Howard McQuillan isn’t among them. Moreover, Officer McQuillan accused the chief of violating the bureau’s social media policy and of being “hypocritical” for disciplining two officers who violated it. May 6, 2013 – RALEIGH — More than two dozen members of the NAACP and other activists were arrested Monday as part of continuing protests of Republican policies in the state capital, bringing to dozens the number of nonviolent demonstrators facing charges. The demonstrators were arrested Monday by Raleigh and General Assembly police. The number of arrests, as well as the size of the crowd that turned out to offer support, grew from last Monday’s demonstrations, when 17 were arrested. General Assembly Police Chief Jeff Weaver said law enforcement officials decided to admit them despite last week’s arrests while they determine what the law permits. He said those arrested most recently will face the same charges of second-degree trespassing, failure to disperse on command and the displaying of signs or placards, which violates building rules. The group arrested Monday included Barber’s 20-year-old son, William Joseph Barber III, a student at North Carolina Central University; William Chafe, former dean of Arts and Sciences at Duke University; Robert Korstad, a professor of public policy and history at Duke; Jacquelyn Dowd Hall, an historian at the University of North Carolina; Charles van der Horst, a professor at the University of North Carolina School of Medicine and members of the social justice group Raging Grannies. Viviette Applewhite is 93-year-old and has voted in nearly every election for the last 60 years. She marched with Dr. Martin Luther King, Jr., in Georgia. She has tried for years to obtain photo ID to no avail. Under Pennsylvania’s new voter ID law, Ms. Applewhite’s vote will not be counted. She is a plaintiff in our lawsuit to stop voter ID.